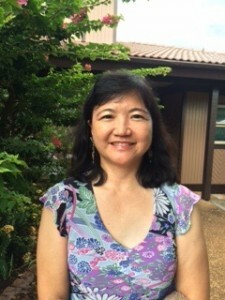 Dr. Uramoto was born and raised on Maui. She graduated from Baldwin High School and completed her undergraduate degree at Stanford University. She attended medical school and did her Internal Medicine residency at The University of Hawaii. She then moved on to her subspecialty fellowship training in Rheumatology at The Mayo Clinic. She has performed research and published in Systemic lupus erythematosus, Rheumatoid Arthritis and psoriatic arthritis. Presently in private practice at The Queen’s Medical Center and is the division chief for Rheumatology in the Department of Medicine. As a member of the medical advisory council on the Sjögren’s and Lupus Foundation of Hawaii she continues her support for those living with both autoimmune diseases in our community. She is married and a busy mom with two children. She loves karate and enjoys reading mysteries.